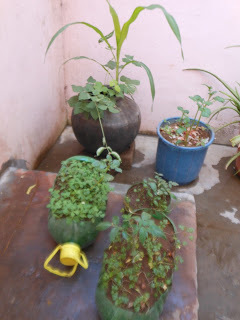 This is a small garden that i made with all materials which would have otherwise gone into trash. An earthern pot, in which we used to keep drinking water in the scorching summer last year, is gearing up for giving us some tasty beans. You can see two or three pods on the plant that have already appeared. There's also a cereal growing in it. 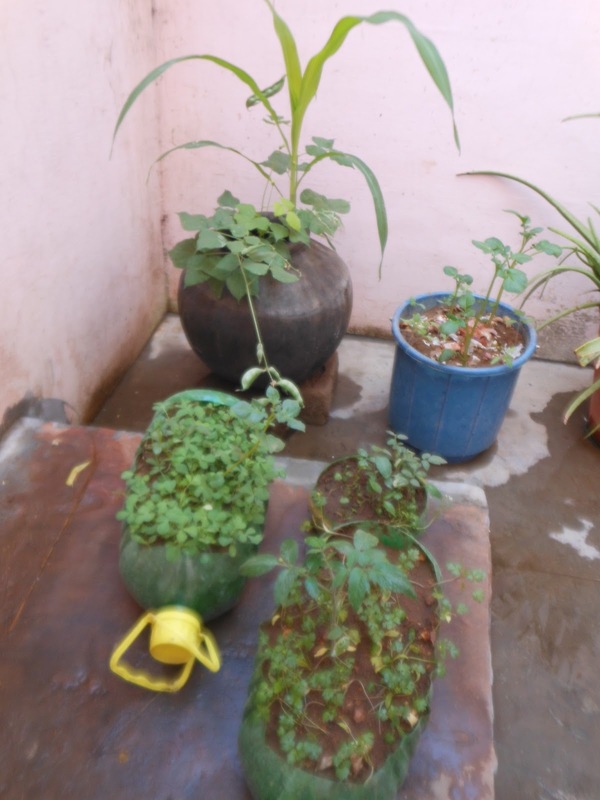 The blue plastic bucket became quite old and started fading and was also about to break and hence became unusable. But it now has some baby potatoes growing inside it. An inverter at home, a thirsty one really. need to quench its thirst by giving it distilled water. 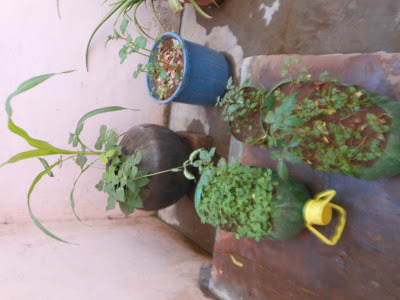 So these green bottles are those used up distilled water bottles which i have made productive by growing fenugreek plants in one and tomatoes and coriander in the other. children. it is quite exhilarating.